-- Please Choose an Option --	24" x 80" 33" x 80" 36" x 80"
This cost-effective aluminum banner stand is an effective way to quickly relay a message to your audience while exhibiting in a busy convention hall. 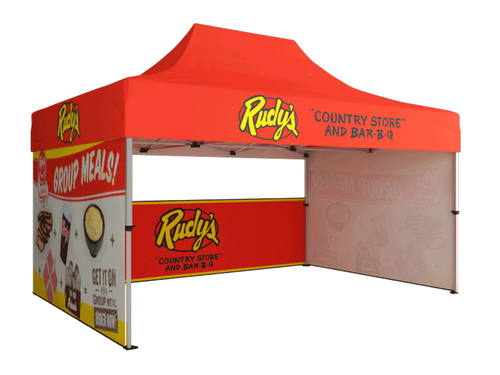 The Economy retractable banner stand is available in 3 sizes: 24", 33.5", or 36" wide by 80" tall. Each base has two leveling feet for added support. The best part about this retractable banner is that it sets up in just seconds, and comes complete with a canvas bag for easy transport in and out of trade shows and events.